The paper-like scrolls in my work were inspired by a trip to the Wailing Wall in Jerusalem. I was intrigued by the thousands of prayers written on paper and crammed between the stones. The hand written script designs on many of the pieces are taken from old family letters like those exchanged by my grandparents during the war in 1944. 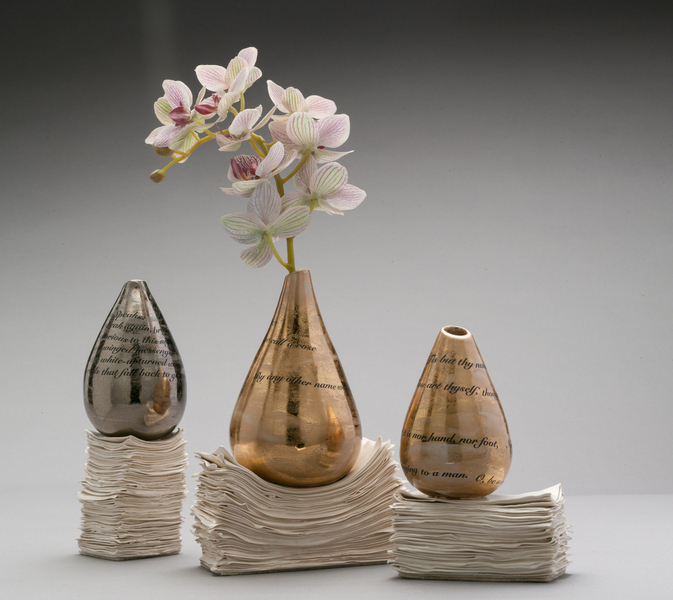 My vases strike a balance between a sculptural aesthetic and a practical function.